A new form of theatre has begun to take shape at the School of Drama, Thrissur, from January 12. Sixteen transgender people have started training vigorously by taking part in the week-long workshop organised by the Sangeetha Nataka Academy as part of the International Theatre Festival of Kerala (ITFOK) 2018, which will kick off on January 30. Among them are Kochi Metro employees and those who are out on bail after getting arrested in Kozhikode and Kochi. The energy and determination they radiate show their indomitable spirit to make themselves seen and heard in every possible way. 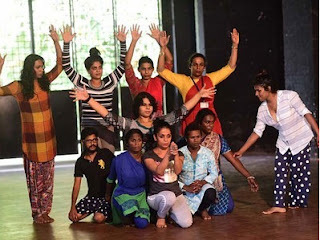 Under the guidance of theatre activist Sreejith Sundaram from Tamil Nadu, the team is preparing themselves to tell their stories of mental and physical angst with honesty, passion and wit. After seven days, Kerala will see its first transgender theatre group performing at ITFOK. So far, there is only one theatre group in India comprising only transgenders, the Panmai Theatre group from Tamil Nadu, and Kerala's will become the second. Explaining the concept, Dr S Sunil, member of the festival directorate tells us, "This is our humble attempt to support the marginalised. 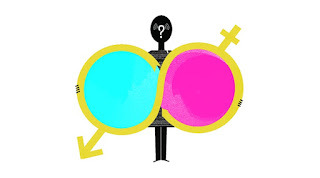 Our theme this year is 'Reclaiming the margins' and who else can we bring into limelight other than the third gender? We have ignored them since time immemorial. They have never been considered as part of the society and it is high time that we did so. Even while we boast about Kerala being transgender inclusive, the recent incidents prove otherwise. They still struggle for their basic needs. So at ITFOK, they will speak up." The workshop begins at 6 am and goes on till 6 pm. The participants have been selected via audition and include 15 transwomen and one transman named Aby. Transgender activist Sheethal Shyam says they hope to travel with the play across the globe. "We have been making our mark in different walks of life, from fashion to make-up. Now we are trying our luck in theatre. There are amazing talents among us and it is important to give them opportunities," says Sheethal. Echoing Sheethal's views is transgender activist Renju Renjimar, who is thrilled to be part of such a pioneering project. "We will not just stick to our problems. It is an opportunity to speak for the voiceless and marginalised people in the society. We are doing everything that we couldn't do when we were young and when we were facing an identity crisis," she says. According to her, the transgender association Dhwayah Transgender Arts and Charitable society has played a vital role in turning this dream into reality. "We want to create a world without gender discrimination. That is our aim," Renju adds. After the training is over, the team will stage their first performance in front of the School of Drama students and teachers on January 19 and then at ITFOK. Sreejith Sundaram, the facilitator of the workshop, is known for his works that amplify the voices of the marginalised including LGBTIQ. The format of the workshop, he says, will evolve on its own as days pass. The fundamental idea is to ask political questions to the society, particularly concentrating on body politics. "There is a lot of violence happening in the name of religion, caste and gender. I will be giving them insights into this. We will be incorporating one chapter from transgender writer Revathi's book Unarvum Uruvamum, a poem from transgender activist Kalki's poetry collection Kuri Aruthean and also deal with the infamous Tara murder case in Tamil Nadu. While giving them directions to incorporate these, we will let them come up with something from their own experiences. They are highly talented and I am sure they are gearing up to create something very promising," he says.